ITV has announced it's axing UTV Northern Ireland's late news programme as it brings its newly-acquired station in line with the rest of the ITV Network. UTV Live Tonight, broadcast most weeks from Monday-Thursday after News At Ten in a 30 minute slot, will be axed at the end of September, just weeks after it's due to return from its summer break. Instead, UTV viewers will receive a standard news and weather bulletin for Northern Ireland in the same time slot as the regional news bulletins going out in other ITV-owned Channel 3 regions. As part of an agreement to sustain current affairs output on the Northern Irish channel, ITV will launch "View from Stormont" on Monday nights from October. The new current affairs slot will align UTV with similar slots operating in Wales and the Scottish Borders, where the local ITV services have dedicated late night slots, in accordance with agreements with Ofcom to provide additional minutes of local programming in non-English regions. UTV Life, meanwhile, will move to a new peak-time slot from September, also in line with existing peaktime opt-out slots for ITV's services outside of England. It's nearly a year since it was first revealed that UTV was up for sale. 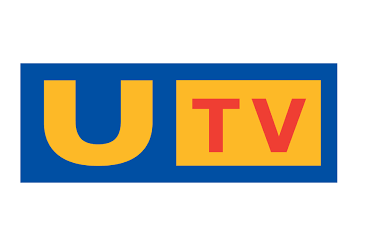 ITV completed the transaction earlier this year, with UTV's radio assets continuing as a standalone organisation, prior to being snapped up by Rupert Murdoch's Newscorp. UTV's channel for the Republic of Ireland has been sold to Virgin Media owner Liberty Global. Since the ITV takeover, new branding for UTV has put on ice, UTV's on-demand and news service has been incorporated into the existing ITV online service and it's been announced that a number of jobs are to be cut following various operational changes at the channel, although ITV insists that the axing of UTV Live Tonight will not result in further job losses.